I learnt a little about green buildings when I was in polytechnic studying to be a civil engineer a few years ago. We learnt about how a green roof can significantly cool down the interior of a building, and how planting the right fauna and adding gravel in strategic places can naturally filter the water in our canals while beautifying the parks. Some of the advantages of working in civil engineering are that you don’t have to specialise, projects are usually on a large scale, and there is typically a demand for local civil engineers here. Anyway, despite knowing that a career in this field would be promising, most of my classmates and I went on to further our studies in other industries. Those I know who went on to pursue civil engineering, have no intention to specialise in any area. 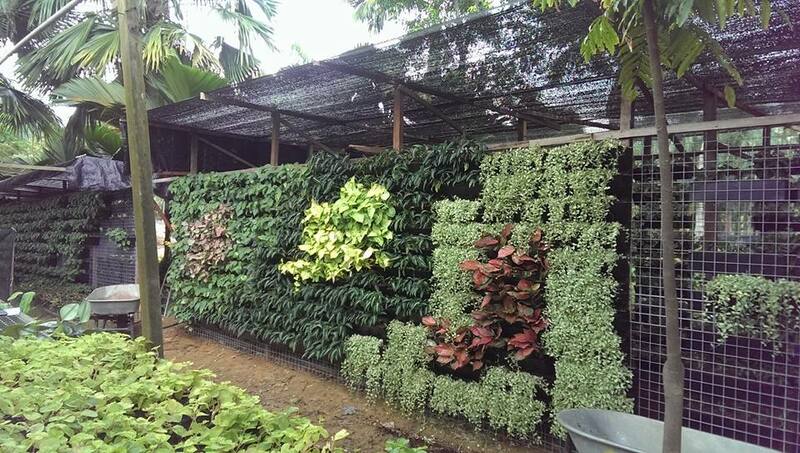 So, I was intrigued when I heard someone my age gave up the chance to further his education to do something as niche as making green walls and roofs, even more so as he manages his father’s 30 years-old business. 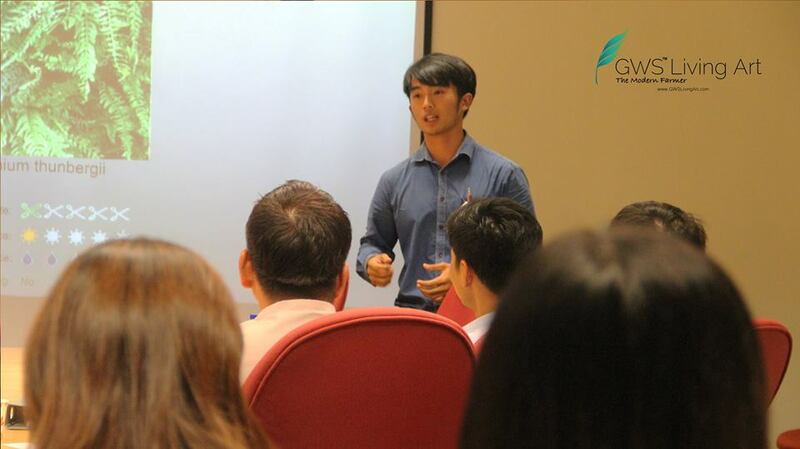 26-years-old Zac Toh is the founder and Director of GWS Living Art, a subsidiary of Chop Ching Hin Pte. Ltd. which was established by his father in 1987. 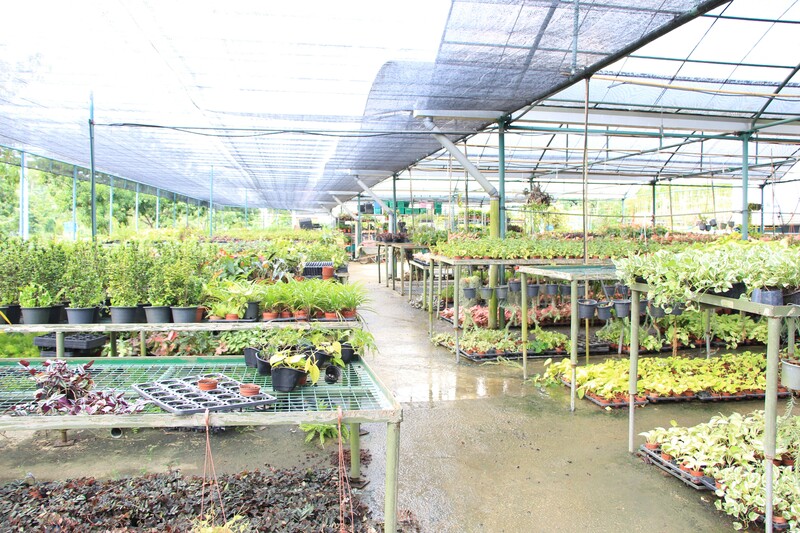 Chop Ching Hin started out as a plant nursery and now supplies trees, plants, and shrubs to government agencies, landscaping companies, and retail nurseries, as well as owning 200 acres of land in Malaysia, 12 acres in Thailand, and 7 acres in India. Zac said he had been working on the nursery since he was a child and spent of his childhood playing with plants and machineries with his brother, driving forklifts, putting fertilizers into plants, and mixing soil. He recalled their regular trips to the nurseries in Malaysia and bathing outdoors using the sprinklers. “We played those terrible games involving cow manure!” he laughed. 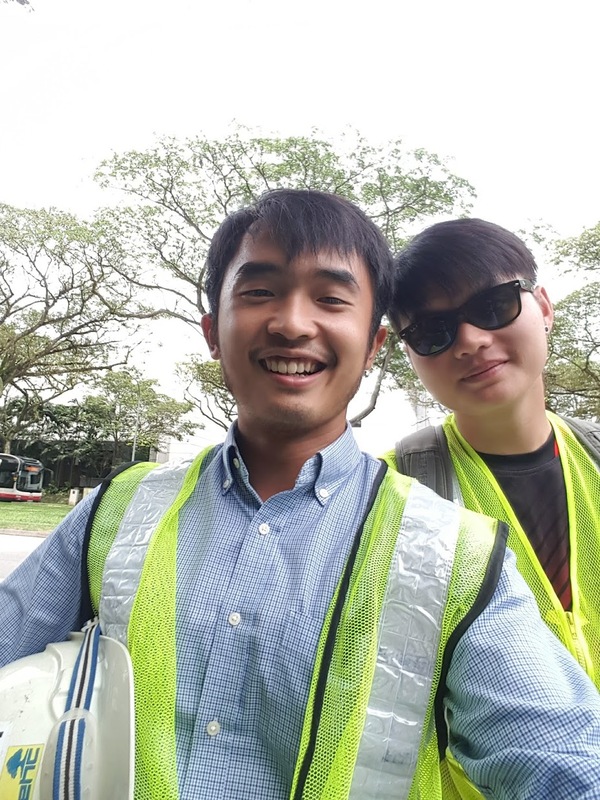 When he was 20, he had applied for a business course in the Singapore Management University (SMU) but “dropped out really early on” even though he qualified for all the courses he applied for after serving National Service. “I wanted to pursue my own path – and that’s how I founded GWS Living Art; a green enterprise focusing on bringing green into cities using innovative methods. 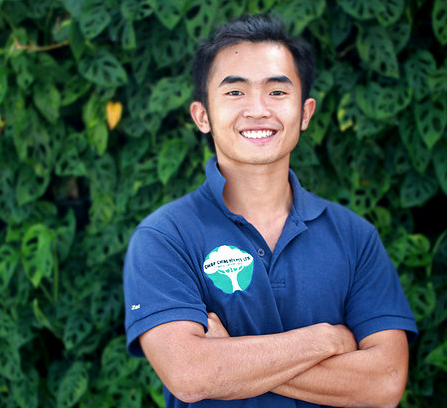 I have a dream to be part of the collective effort in greening Asia,” he told me. Zac shared that since the beginning, his father had given him the chance to expand Chop Ching Hin horizontally to let him “try [his] hand at grooming something”. “I took a while to make the decision between school and the family business. My parents were supportive of either decision but as I already had a small team between the time when army ended and before university, I wanted to continue building on my product.” he said. 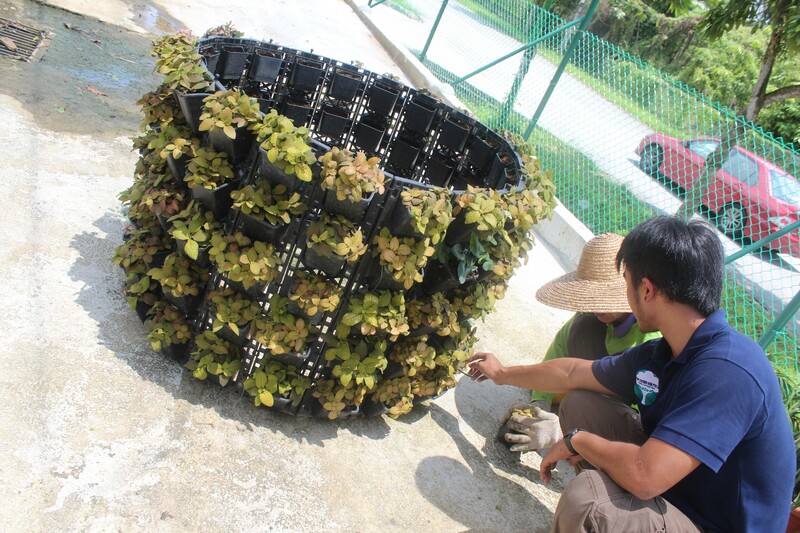 The company was initially just called GWS, which stands for ‘Green Wall System’, and as they took on a diverse range of urban greenery projects, ‘Living Art’ was added into the name, Zac explained. 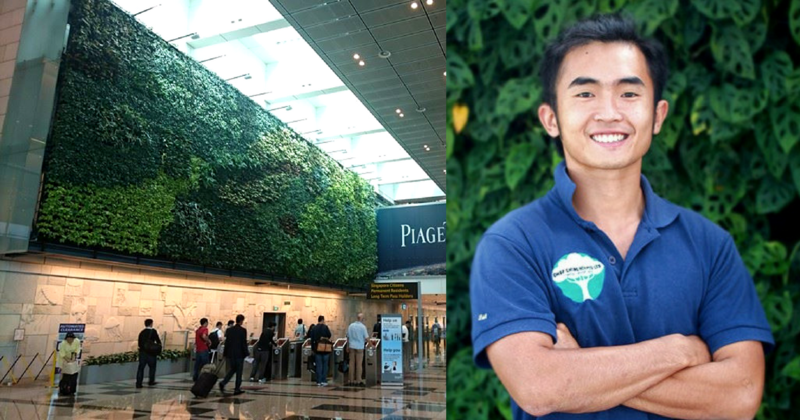 GWS Living Art was funded by Zac himself and Chop Ching Hin, and Zac is involved in developing new products for his own company, coming up with several ways to “green up walls vertically with minimal maintenance”. The beginning of his entrepreneurial journey was “very tough at the start” as he spent the first two years working “tirelessly” to figure out how to sell a system he had created and the ways of the industry. 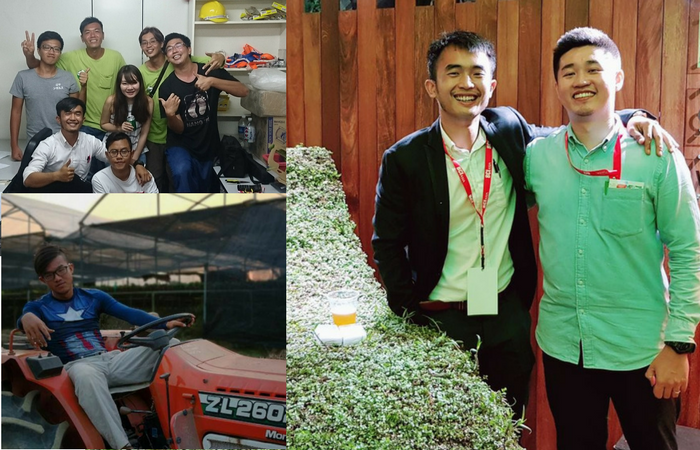 He had to build his knowledge of the green building and construction industry in Singapore from the ground up and went on networking sessions. 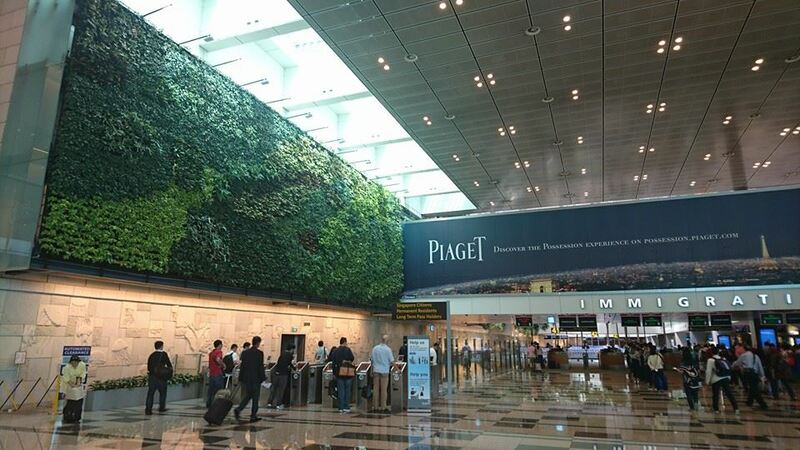 “One of my first few project was a residential indoor green wall owned by Mr Bernard and his lovely wife. They were so appreciative of the green wall and exclaimed how it really elevated their living space!” he gushed. He added that that “heartwarming statement” impacted him greatly and gave his work a purpose. They have since moved on to larger and more challenging projects and widened their expertise – a good sign that his hard work has paid off. He has undertaken about 150 projects in Singapore, Malaysia, Thailand and Hong Kong. 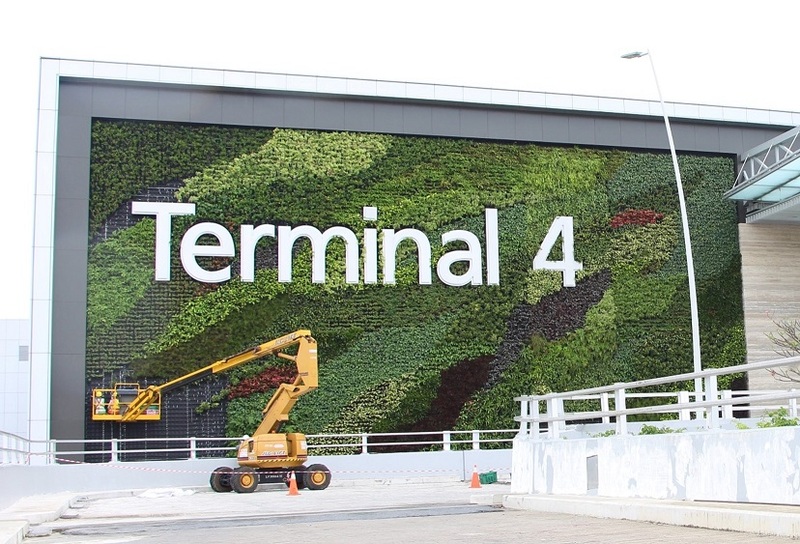 One of the notable projects they have done is the green walls in Terminal 4. GWS Living Art has also installed green roof mat systems on steep, 35 degree metal roofs which has never been done before. 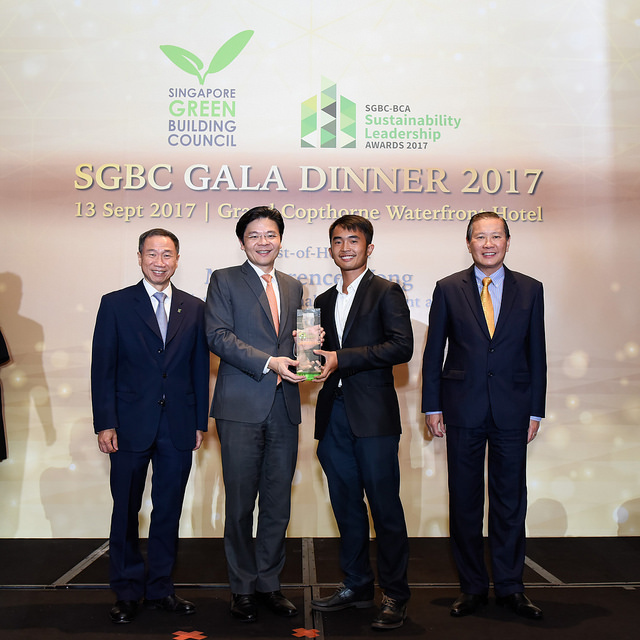 Last year, Zac was awarded the Singapore’s Young Green Innovator of the Year at the SGBC-BCA Sustainability Leadership Awards by the Singapore Green Building Council (SGBC) and the Building and Construction Authority (BCA). His innovations use only about one-third of the total soil used and more than halved the weight of standard green roofs. His products are pre-made which cuts down the set up time substantially and are easier to maintain. His products came to be when they were looking for solutions to solve the problems of the current systems used in the market, explaining that sometimes they experience those problems themselves. “Most problems lie in the sustainability and maintenance of a green product,” he explained. Zac expressed his gratitude to a Ms Yvonne Soh and her team at SGBC for their support of his work and revealed that he will be working “on something fun” with them again. “[No] matter how big or small the project is, I look forward to the satisfaction at the end of a job well done,” he quipped. They say it’s the journey that matters more than the destination. Since being in the industry for six years now, he thinks green is “definitely on the rise” but the industry is competitive and margins are getting thinner year by year, so they have to keep up their quality of work and become more efficient. 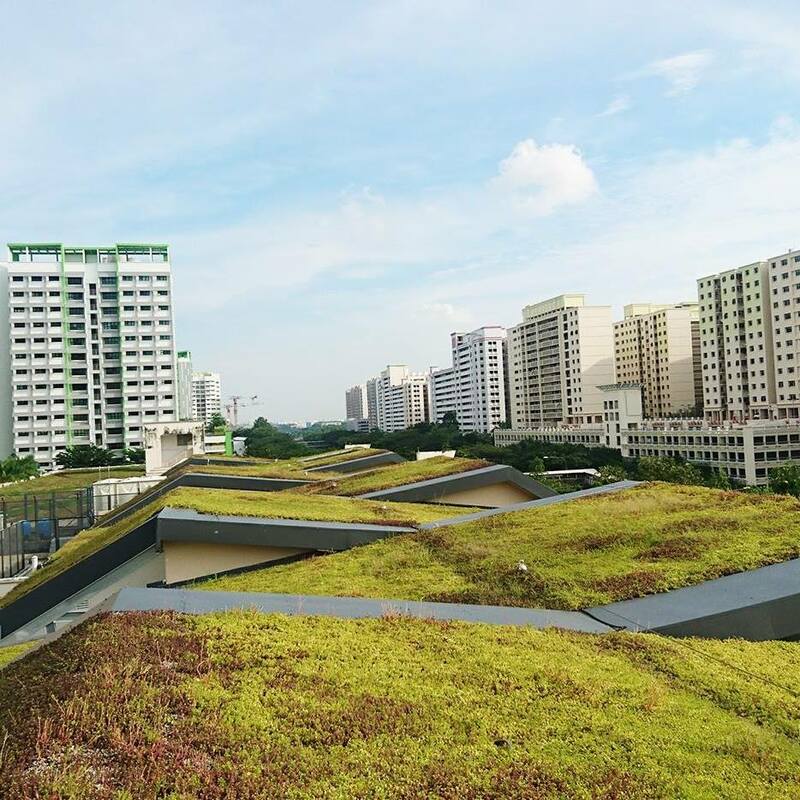 In a study published in 2013 by the World Green Building Council, it reported that the Building and Construction Authority (BCA) of Singapore expected building owners to save S$1 billion just in energy costs if 80% of our building stock goes green by 2030. It seems the green industry will only go forward and develop rapidly, as reflected by the growth of GWS Living Art which Zac described as an “upward trajectory”. But there is no time for this young entrepreneur to rest, as he takes charge of leading both the businesses into the digital world. “Recently, we started [looking] into e-commerce for Chop Ching Hin, [which is considered] a traditional landscape supply company,” he shared. 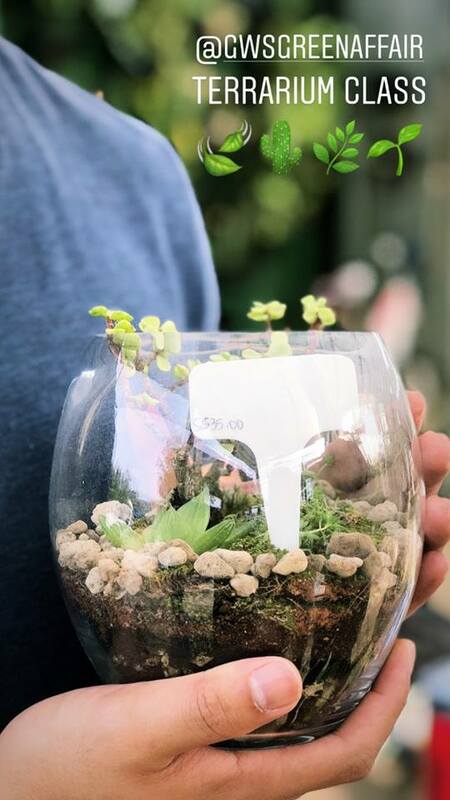 To “reach out to the younger generation and cultivate a love for nature” and horticulture in them, Zac launched their own PR & Events arm called, GWS Green Affair, where they show a glimpse of their terrarium-making workshops held at their nursery. Other future plans include boosting their Southeast Asia sales team at GWS Living Art, expanding overseas, and creating new products and refining them continually. Zac’s goal is to collaborate with more governmental organisations “to really push the call for green”. I think it’s amazing for someone who had little background in green structures prior to starting GWS Living Art and then achieving so much in that period of time. “As [one] Chinese saying goes, ‘The soldiers [who] have their retreat bridges burnt will only fight even harder'”. Stay updated with our weekly curated news and updates. Vulcan Post is all about living life with a digital edge, up and coming startups, and people who inspire conversations. Turn Your Ideas Into A Website! © 2018 Vulcan Post. All Rights Reserved.